Virtually eliminates maintenance in those hard-to-reach areas, like under the eaves and over porches. Helps reduce build-up of heat and humidity in attic space. Available in woodgrain with a low-gloss finish. May be used as soffit or as vertical siding! 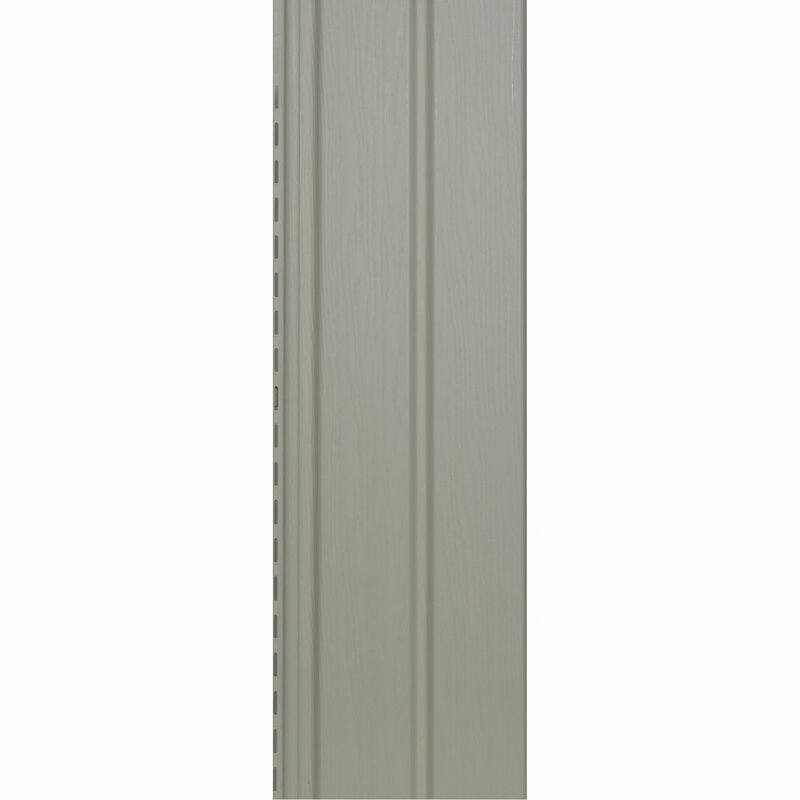 10 inch Vertical Wood Grain Soffit Ant Ivory (20/BOX) The Solid Vertical Siding D5 Soffit is designed for porch, celing and soffit application.